I have the sweetest husband and sons in the world! 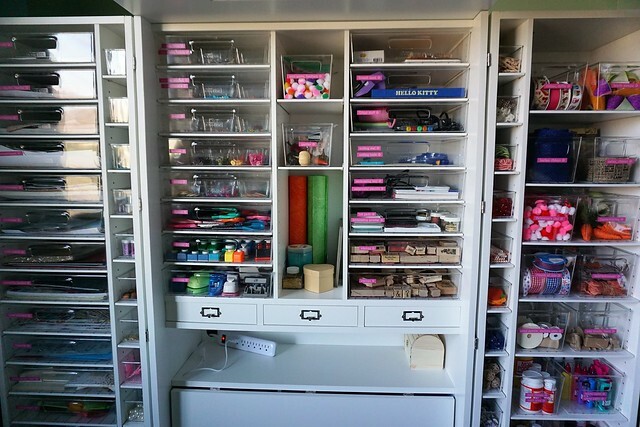 For most of March they were hard at work transforming our den into my craft room. One Saturday they began by taking every single item out of our giant junk drawer, a.k.a the family den. Then they ripped out the carpet and took down a wall counter that was attached to one end of the room. I was allowed to choose two paint colors and the vinyl flooring, but that was it! My guys designed this space top to bottom, in secret, and mysterious packages were delivered and hid from me. The big reveal was on the 26th. 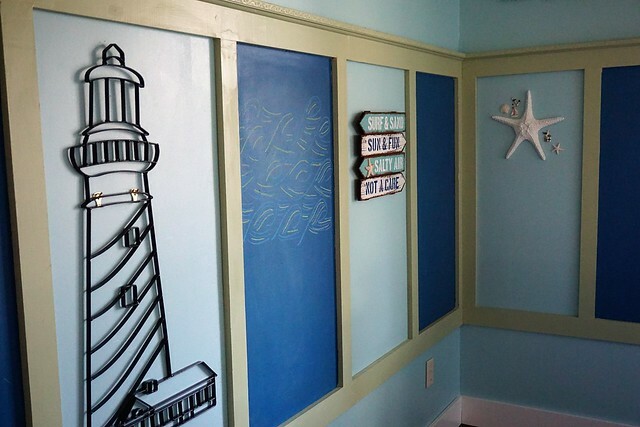 I chose paint colors that remind me of the beach and ocean. Based on that, my guys decided to run with a beach theme. 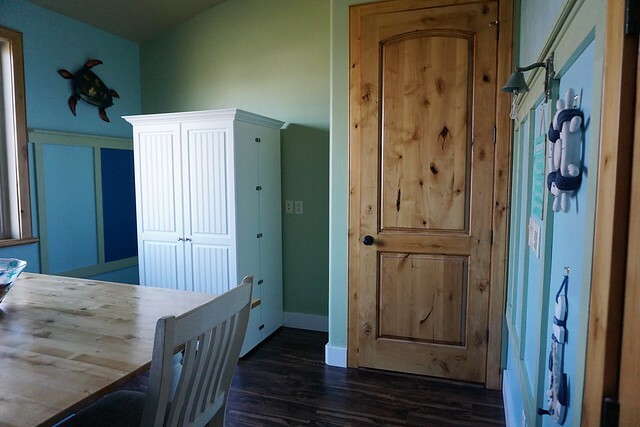 The dark blue panels are chalkboard paint, which was my youngest son’s idea. I chose a warm walnut-finish vinyl flooring, which is waterproof and ideal for messy creativity. My husband designed and built this craft table for me. It’s just the right size for ten little girls (three on each long side, two on each short end). Every two-to-three months, I host a little girl craft party with nine neighborhood girls. 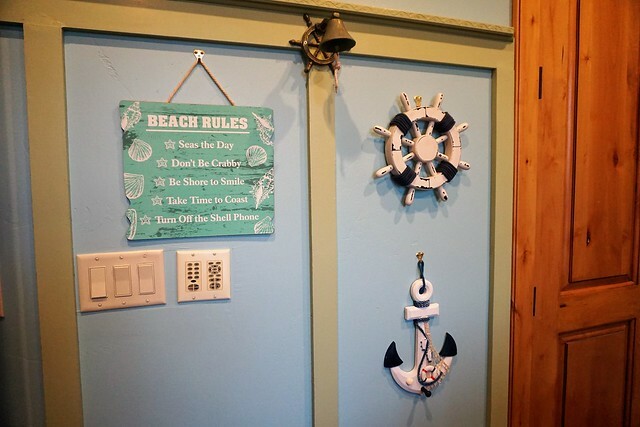 We always have a blast together and they are excited to have our spring crafting party in this fun room. They will sit on bar stools which I still need to spray paint white. All of the decorations were chosen by my husband with the kids’ input. I’ve owned this WorkBox 3.0 from The Original ScrapBox for almost a year now and I absolutely love it. 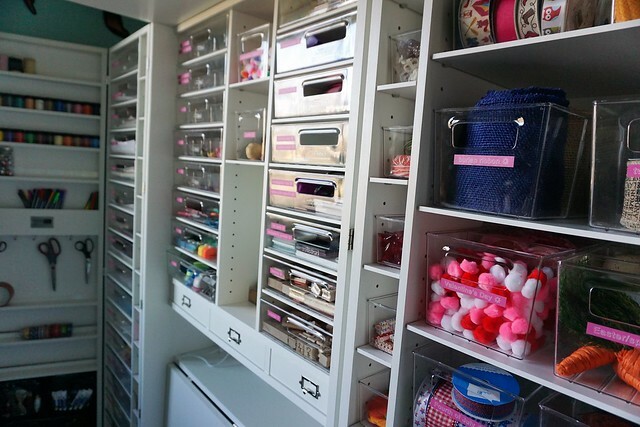 It’s perfect for keeping and organizing all of my crafting treasures from glitter to ribbon to decorative papers to paint. It fits perfectly in this space! So there you have it! There’s even extra space in the closet, but I haven’t done anything with it yet. WOW – looks great! You are so organized. A perfect place to gather and be creative. I hope you’ve been enjoying it. 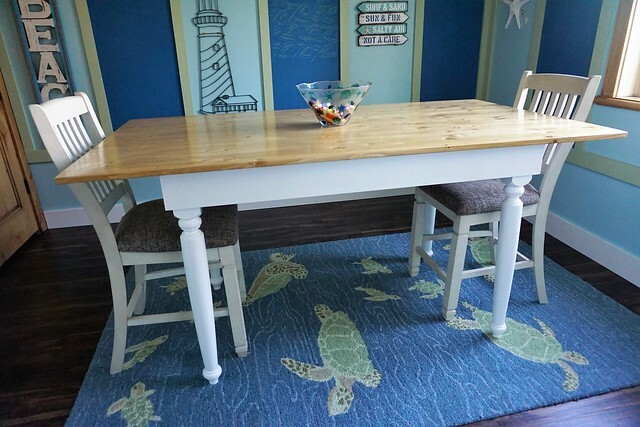 I adore your sea turtle rug!! Oh wow. They did an incredible job. 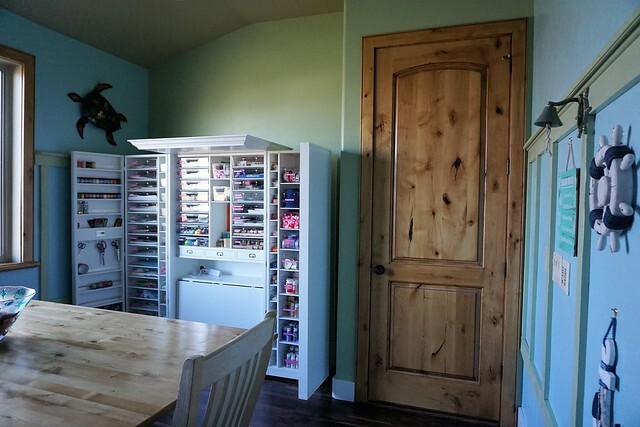 And I have craft cupboard envy. Beautiful room! 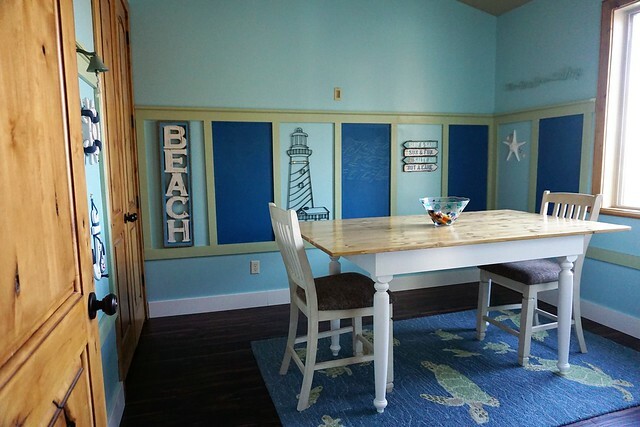 I especially like the blue chalkboard paint panels, and that craft cabinet is seriously cool. How cool is that! How special! Turtles are my favorite. Thanks for stopping by, Lynn. Thank you, Anne! That’s very sweet to say! Wow! It turned out so beautiful!! Love it Camie!! 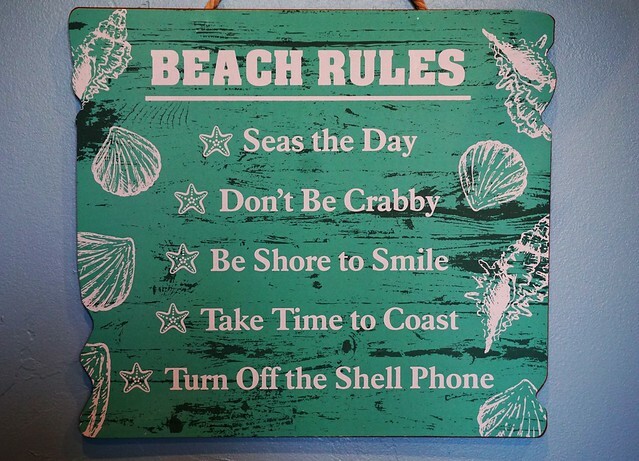 Especially the beach signs!! 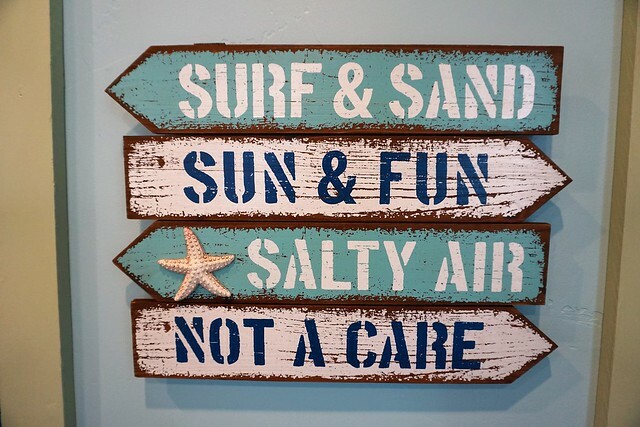 I think the signs are my favorite, also. WOW! It’s wonderful. 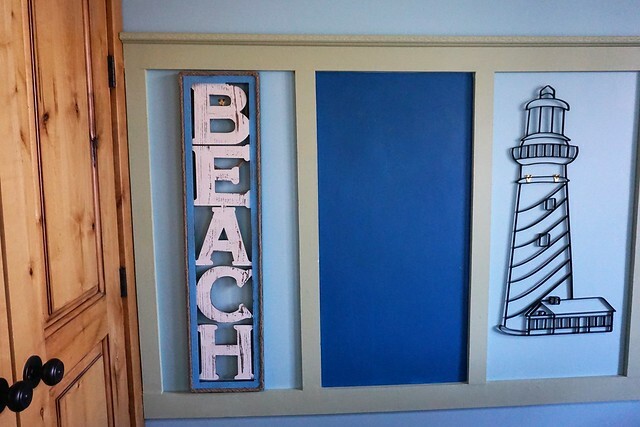 I like the beach theme, and love your craft cabinet. I’m going to go look at it some more.